Scams in healthcare are not just limited to insurers, hospitals and clinicians. The blogosphere itself can be victimized. In other words, you retain your copyright to your IP, except grant the company the ability to do anything they want with your material, with no reimbursement to you if they make money, and you also allow the company to distribute and sublicense your material to anyone they please, your copyright be damned. "During the surgery you retain ownership of your organs, but if we find one we like we reserve the right to sell it to someone else for their own use." The company was then sold, and bloggers found themselves estranged from benefit and control of their own IP. New Wellsphere badges - a blogger made some new badges for Wellsphere. I included one in this post. #wellsphere on Twitter - to follow the latest conversations. It tends to light up like a Christmas Tree. Hedge funds, anyone? I know a good one that promises 12% returns every year, even in economic downturns, that uses a secret strategy for investing developed by some genius level programmers. Pfizer/Wyeth Merger And Sacrificing The Future: "Laying Off Scientific Staff All Over The Place"
A website with the presumptuous name "www.premierbiopharma.com" has also been created. What is pathetic is an apparent continuing belief that mergers of two companies in trouble for essentially the same reasons can produce a company that is successful. Each individual company has not been doing well despite billions in expenditures. They will continue not doing well despite the merger because they suffer an organic problem, namely, they both mismanage R&D. This "merger = miracle" belief persists, in part, because those in charge are unable to see the problems that impair R&D. The problems are "hiding in plain sight." The reason the problems hide in plain sight from the leadership is that the leaders are blind. Those in charge cannot see that which the domain specialist sees. They cannot see because they lack the training, experience, and what is described as 'meta-competence' (in this brilliant article on competence) essential to seeing that which is obvious. Obvious, that is, to those who do not lack these characteristics. In addition, I've also observed that some lack the fundamental analytical abilities essential to understanding and managing the complexities of biomedical R&D. Why those without domain expertise are in charge of organizations whose long term viability depends entirely on the most advanced and creative pursuit of biomedical 'miracles' is another matter. I won't address this here, other than saying it reflects the adverse consequences of a bias that has evolved in management "science." That bias is the belief that all the world consists of faceless labor resources performing easily definable processes upon interchangeable widgets, and that management can therefore be done by generic managers, exclusively. Some of the world is like that, but some isn't, such as biomedical R&D. Management in the absence of domain expertise in this industry is, in fact, mismanagement. There is nothing here to spin, there is nothing to debate. There is nothing to discuss. This is a first principle. Failure to accept this reality results in corporate failure. Under this mismanagement, pharmaceutical R&D has become R&D in name only. The budgets for informatics tools essential for R&D were controlled by non-scientists such as IT personnel with their own agendas, causing scientist to have to utilize extremely inefficient paper based information wasting much time, or avoid difficult and innovative research pursuits altogether. Research support staff were micromanaged by non scientific superiors. Scientist recruitment efforts were impaired by generic HR workers who served, in effect, as a barrier to creative talent not fitting the "judgment" of HR as a good fit (or whose defective eRecruiting systems rendered the CV of such people effectively invisible). Generic HR staff have no idea about who really is the best talent, as they (like many senior executives) lack the background to render such judgments. Talent often never gets seen by the hiring managers as a result. Scientists were burdened with meetings, inundated with needless emails calling for equally unneeded information, requests for ill conceived "metrics" on productivity, and other petty tasks distracting them from actual scientific and intellectual focus. Scientists were burdened with the time consuming bureaucratic insanity of developing yearly "management by objective" plans where they defined what they would accomplish for the year to then be evaluated upon (e.g., for bonuses), as if that were even possible and did not in effect create an atmosphere of "covertly lowered expectations." Scientists were also burdened by an increasing number of tedious and onerous HR processes for ongoing performance evaluation of themselves, their reports and their peers, again a distraction and disruption from scientific focus. Scientists were forced to play nasty politics due to the pressures of constant downsizing, distracting them from useful work. At one pharma, for example, at times of downsizing scientists were made to "bid on their own jobs" as well as others, or face layoffs if no "match" was found. It was as if the company involved did not know what its people did, could do, and what it needed them to do. Nor did it seem to care that such a degrading process was anathema to innovative discovery. Some VP or other executive comes up with some impractical if not crazy pet idea and puts scientists to work on it. The scientists know the idea is a bad one but are intimidated against speaking up lest they be "downsized" or otherwise penalized. Their time for more creative endeavors is thus wasted. My colleagues in other pharmas describe similar circumstances. What we today call pharmaceutical R&D is in reality busywork disguised to look like R&D, in effect a well engineered, well managed, massively expensive failure. He opined that a small fraction of prime scientist intellectual horsepower and time is actually spent on true R&D, the rest wasted on feeding the bureaucratic corpulence that is the modern pharma research lab. When you spend tens or hundreds of billions of dollars, you should have something to show for it if you are doing real research. The low hanging fruit haven't been that fully picked. That contention is supported by the accomplishments of the far less bureaucratic biotech and academic research sectors. Pfizer CEO Jeffrey Kindler is a lawyer [i.e., lacks biomedical and scientific education, experience and insight -ed.] who came to the drug giant from McDonald's [the hamburger joint - ed.] in 2006 and has been laying off scientific staff all over the place. I had commented on Kindler's credentials in my July 2006 post "Pfizer brings life to my 'If you've run McDonald's, you can run anything' metaphor." Merging with other companies and laying off scientific staff (instead of keeping them, hiring more of the best, and repairing the defective environment that distracts them from their work) is apparently the only "solution" that non biomedical business managers in this industry can proffer. They, like their impaired scientists, also suffer a lack of creativity in thought and application. Through what magic is a merger between two companies that no longer know how to carry out effective R&D believed to work a miracle? Company growth depends on the new drug pipeline. Pipeline depends on R&D. R&D depends on leadership and research talent just as a good movie depends on both a good director and good acting. When both are lacking you cannot have growth, therefore why bother merging? I simply do not see how shareholder value is created via this merger. I hold no stock nor financial interests nor relationships with either of these companies or any pharmas. I've chosen not to as a result of my observations from within the industry. It is also a fact that many if not most large mergers do not actually produce gains. I therefore suggest that individual and institutional investors and analysts take a bearish view of this merger. I guess the "talented people" and the "we" in the above self-aggrandizing passage doesn't include those scientists and other people who will find themselves on the street during the worst economic downturn since 1929. As I observed in my July 2007 post "Happy Accidents in pharma doubtful: Tax Break Used by Drug Makers Failed to Add Jobs", the people who actually write this copy must understand the shallowness of their words. Further, employees who read this rhetoric fall into one of two groups: those who believe it or are comforted by it, and thus are deluded, and those who don’t believe it, but cannot speak up due to fear of retaliation or layoff, and thus may easily become demoralized and cynical. Environments of the deluded, demoralized and cynical are not the best for leading-edge drug R&D. Max Perutz, director of one of the most successful postwar science institutions, Cambridge University's Molecular Biology Laboratory, had compelling ideas on how best to nurture research, says Sir James: "No politics, no committees, no reports, no referees, no interviews - just highly motivated people picked by a few men of good judgment." There is no shortage of scientific talent, he says. "But [I am] much less optimistic about the managerial vision [of the pharmaceutical industry] to catalyse these talents to deliver the results we all want." At One Academic Medical Center: "Profitability" Trumps "Doing the Right Thing"
A post on the Health Care Blog opened a window into the thinking of top leaders of health care organizations. The post was written by Gary S Kaplan MD, the CEO of Virginia Mason Medical Center, a well reputed US academic medical center. It seemed generally well-intentioned, and was focused on the creation of an organization of US health care CEOs "dedicated to transforming health care and creating a more sustainable health system." But my interest today is not this organization or its future plans. We, unfortunately, in the current payment system, reduce our profitability by doing the right thing. Despite my very supportive board of directors, they will not allow me to lead our organization into bankruptcy by doing the right thing. We need to change our payment system if we truly want to ensure universal coverage, improve quality and reduce cost. I completely agree with Dr Kaplan about the need to change how we pay doctors and hospitals. But note his second sentence. It implies that the leadership of Virginia Mason sees "profitability" as a goal of the organization that supersedes "doing the right thing." Furthermore, Dr Kaplan implies that his medical center's board of directors has prevented him from "doing the right thing," in order to avoid "bankruptcy." Perhaps this was just a horribly written paragraph. But it does seem to say that at Virginia Mason Medical Center, the leadership thinks it is less important to uphold the organization's mission, that is, to do "the right thing," and more important to promote "profitability." However, Virginia Mason Medical Center is a not-for-profit organization. (See this link.) A not-for-profit organization should not have "profitability," by definition. Furthermore, the leadership of a not-for-profit organization is supposed to uphold the organization's mission, and to put this mission ahead of other concerns. This is called the duty of obedience, and is a fundamental duty of leaders of not-for-profit organizations (see this link). Failure to uphold the mission threatens the fundamental integrity of the organization. Naturally, to fulfill the mission, the leadership of a not-for-profit should not let the organization go bankrupt. It should be concerned about raising and having sufficient funds to make an honest attempt to fulfill the mission. But bringing in money should be secondary to the mission, and "profitability" should not be a goal. Our vision is to be the Quality Leader - Our aspiration is not to be the biggest, but to be the best. We will differentiate ourselves on the basis of quality. Our mission is to improve the health and well being of the patients we serve - Healing illness is our first priority and is what gives our people the energy for our vision. We are also committed to providing a broad range of services that improve one's sense of well-being and which prevent illness. We have previously discussed how a leader of another not-for-profit academic medical center revealed that his major criterion for evaluating faculty members was how much money they brought in, not how well they fulfilled their academic and clinical responsibilities. His goal was to make sure enough faculty were "taxpayers," people who brought in more money than they consumed (not that enough faculty were good clinicians, teachers, or researchers.) Again, it seemed that his organization put making money ahead of fulfilling its mission, ignoring their duty of obedience. Now apparently another leader of a not-for-profit academic medical center has let slip that the leadership of his organization is thinking the same way, but on a more macro level. By the way, I doubt that the thinking disclosed by these two leaders is anomalous. What is anomalous is that they made it public. Many academic medical institutions could be lead by people who put profits ahead of mission, thus shirking the duty of obedience, and hollowing out the integrity of their institutions. Academic medical institutions, like most health care institutions, are now lead by business people who grew up in what now appears to have been the second gilded age. The global economic meltdown has made it clear that we just lived through an era in which business leadership was too often marked by arrogance, greed and corruption. Business leaders took ridiculous risks, deceptively marketed products, and manipulated financial instruments to generate short-term profits, and thus to generate fabulous payments to those same leaders. And we have seen how these practices nearly destroyed the global financial system and have lead the world to the brink of a new great depression. At least the global financial meltdown has discredited the notion that markets not subject to any external regulation or policing will somehow police themselves. So maybe it is time to add a little regulation and policing to health care. One place to start would be the duties of the leaders of not-for-profit health care organizations. the duty of obedience: they need to put their organizations' missions ahead of other concerns. the duty of loyalty: they need to give their organizations their undivided allegiance when making decisions. the duty of care: they need to exercise reasonable care when making decisions. But as long as the leaders of not-for-profit health care organizations continue to put profitability ahead of mission, things will continue to get worse. BLOGSCAN - Whose Interests Do Medical Societies Promote? On the Alison Bass blog, Alison Bass (no surprise) wrote about an important topic that needs more discussion. It turns out that several big medical societies recently threatened to pull their meetings out of Massachusetts ostensibly because of concerns that a new state law regulating drug and device marketing would make it impossible to hold the meetings. Ms Bass is skeptical about that claim, but did note that the medical societies got funding from drug or device companies, companies that are generally not happy with any laws that restrict their marketing practices, or make these practices more transparent. The important topic here is how medical societies, which once we thought were meant to promote doctors' ideals (and to be honest, their interests), now seem to be creatures of drug, biotechnology, and device companies, to the detriment of doctors' ideals and interests. On the GoozNews blog, Merrill Goozner dissects the recent decision by the US Center for Medicare and Medicaid Services (CMS) to make more lenient the criteria it uses to decide which off-label anti-cancer drugs it will pay for. Now any drug rated favorably in at least one of several drug compendia will be approved. Yet it turns out that intricate, but important conflicts of interest may affect how drugs get positive reviews in some of the compendia. It does seem that nearly every piece of our fiendishly complex health care system is affected by conflicts of interest. To put the most positive interpretation on it, most US government agencies that deal with health care seem to have operated up to now in ignorant bliss when it comes to these conflicts. NB: see also the post by Dr Howard Brody on the Hooked: Ethics, Medicine and Pharma blog, and the links he provides. The course material was developed largely by DesignWrite, a New Jersey-based firm paid by Wyeth. The company is being investigated along with Wyeth by a U.S. senator looking into the practice of ghostwriting in scientific articles as a way to market hormone therapy drugs. Together, Wyeth, DesignWrite and UW formed the Council on Hormone Education - the name of the educational organization stamped on course material for the class. Thirty-four of the 40 council member physicians have financial ties to Wyeth, including the course director, Julie Fagan, a UW doctor and associate professor of medicine. Rigorous studies involving thousands of women showed that hormone therapy increases the risk of heart disease, stroke, breast cancer, blood clots and dementia. They also showed quality-of-life benefits are short-lived. In May 2002, a major clinical trial that was part of the Women's Health Initiative was suspended because medical investigators were worried they were subjecting women to too much risk. In the fall of 2002, just months after the health initiative was stopped, the Council on Hormone Education launched its first UW hormone therapy medical education course. Over the next several years, Wyeth poured $12 million into the course. According to the first newsletter published by the Council on Hormone Education, the goal of the course was 'to develop and disseminate balanced, accurate, timely and consistent information about hormone therapy' so doctors could "better serve women." Other newsletters, which included patient handouts and multiple-choice exams in the back for physicians, urged doctors to consider the bonuses of hormone therapy. 'American women attach to youthful, attractive skin,' she wrote, explaining that the age-induced changes are in large part the result of estrogen loss. There is no scientific consensus that estrogen supplements will reverse the aging process in skin. The University of Virginia Health System doctor also suggested that depression, insomnia and mood issues could be the result of estrogen and other hormone imbalances. Fagan, the UW course director, defended the program, saying nothing in the course material was scientifically inaccurate. However, she said the material was presented in a 'more positive light' than she would have preferred. Some experts who reviewed the material thought that the "positive light" it placed on hormone replacement was very bright. The Journal Sentinel asked several doctors, including Jacques Rossouw, chief of the Women's Health Initiative branch of the National Institutes of Health, to review course material. The initiative is the largest clinical trial of hormone therapy drugs. He said the views expressed in the course are not those of the general scientific community and are not suitable for a university medical education course. Raymond Gibbons, a professor of medicine at the Mayo Clinic and former president of the American Heart Association, said he also found material relating to heart disease one-sided. He noted that the materials inappropriately gave observational data equal weight to rigorously done, randomized clinical trials. This is the second time that the University of Wisconsin medical school has received media attention for the cozy relationships with industry enjoyed by the school and its faculty members. We posted about some University of Wisconsin faculty's lucrative industry relationships, which they often did not fully disclose. This, of course, is another story about how the web of conflicts of interest that now so enmesh academic medicine can enable stealth marketing, the disguising of marketing of commercial health care goods or services as medical education. - Wyeth paid DesignWrite to design the course, which then paid the University of Wisconsin and its faculty to produce it. Thus considerable money flowed to the MECC and its employees, and to the university and its faculty. Ultimately, this came out of the pockets of patients or the public, adding to health care costs. - The course they produced was viewed by numerous physicians. It is likely at least some were influenced by it to prescribe long-term HRT. - Therefore, more patients prescribed HRT by these physicians may have been harmed by it than were helped. Thus, the course not only added to health care costs, but likely worsened health care outcomes. So in this case, deceptive practices presumably condoned by the leadership of a drug company, by the leadership of an academic medical institution, and by particular medical faculty, all of whom may have benefited personally by money spent to conduct these practices, likely did patients no good, and possibly did them serious harm. Deceptive practices and conflicts of interest resulted in increased health care costs and probably worse health care outcomes. This suggests, as we have said before, that bad leadership of health care organizations causes these organizations to employ ethically questionable tactics, and these tactics in turn can systemically increase costs and worsen outcomes. But up to now, there has been little public discussion of bad leadership and governance of health care organizations, the unethical tactics that bad leaders may employ, and how these tactics threaten physicians' professional values, and lead to bad outcomes for patients and society. Up to now, those interested in health care policy and health systems research have ignored these issues, which appear to be the herd of elephants in the health care living room. But maybe if we improved the leadership and governance of health care organizations, and prevented the unethical practices they may employ, we could improve patient outcomes while actually controlling costs, improving access, and improving professional morale. Of course, doing so would threaten many vested interests and fat wallets. See also Dr Daniel Carlat's comments on the Carlat Psychiatry Blog, and Margaret Soltan's comments on University Diaries. Hat tip to PharmaGossip and the Schwitzer Health News blog. In today's Wall Street Journal an article appeared entitled "Waste Feared in Digitizing Patient Records" by Jacob Goldstein and Jane Zhang. I would certainly call this title an understatement. Readers of the HC Renewal blog can probably understand why from my many postings on the challenges and the (largely unrealized as of 2009) potential of well done healthcare IT. President Barack Obama has pledged to "wield technology's wonders to raise health care's quality and lower its cost," but many in the field warn that rushing the process of digitizing patients' records could lead to wasteful spending. Both President Obama and former President George W. Bush have endorsed the goal of having electronic health records in widespread use by 2014. But the degree of difficulty promises to be high. A study published last year in the New England Journal of Medicine found that only 4% of U.S. physicians were using "fully functional" electronic health-records systems. What's more, simply installing new IT systems in doctors' offices isn't enough. The systems have to be able to talk to each other, so doctors and hospitals can share information. And doctors and nurses have to learn how to use the systems in ways that help patients. I have been writing on these issues for over ten years, and in that time I've only seen a handful of people writing such things publicly. They usually received scorn or were labeled as naysayers - much as economic forecasters and stock market experts the past few years who warned of potential trouble due to risky loans bundled into even riskier government backed securities. Last week, House Democrats unveiled a fiscal-stimulus bill that includes $20 billion for health-care information technology. "In some ways I am thrilled, because IT will need federal help," said John Glaser, chief information officer for Partners HealthCare, a large nonprofit hospital system in Boston. "But you can bring in too much money too fast and not only waste it, but set us back." ... Current efforts aimed at the nationwide deployment of health care information technology (IT) will not be sufficient to achieve medical leaders' vision of health care in the 21st century and may even set back the cause, says a new report from the National Research Council. The report, based partially on site visits to eight U.S. medical centers considered leaders in the field of health care IT, concludes that greater emphasis should be placed on information technology that provides health care workers and patients with cognitive support [as opposed to just an 'inventory system' of medical information - ed. ], such as assistance in decision-making and problem-solving. Most IT personnel in the healthcare space have spent the past few decades waxing ecstatic about how healthcare IT was a cybernetic miracle to cure healthcare's ills as if by magic, physician and nurse complaints about how the technology slowed them down or created cognitive overload be damned. Unfortunately, it's an unfiltered diet of this propaganda I fear has been ingested by government officials over the past few decades that's led to the pronouncements that billions spent on health IT in 2009 is a sure bet that will, as the President stated, raise healthcare quality and reduce its costs. The Democrats' bill attempts to address many of the potential pitfalls associated with the rollout, spelling out plans to increase privacy protections, fund regional electronic networks, train technicians and give doctors financial incentives to use electronic records in ways that are likely to benefit patients. A Republican congressional aide says the minority supports the goal of digitizing health records, but doesn't support spending money on technology that isn't yet developed. The aide adds that Republicans plan to draft amendments to make sure money won't be wasted on a piecemeal system. I agree with the latter assessment. HIT is still a largely experimental technology. The IT industry uses hospitals, doctor offices and patients as alpha and beta test sites and subjects, unregulated by the FDA or other agency. When HIT fails, there is no central agency to report the failures to, only the vendor. Fixes go into a "queue" for remediation, with priority level decided by the vendor. The major pitfalls of an attempted large scale national "rollout" can't be addressed when those major pitfalls are rarely found in the literature. Yes, privacy, interoperability and incentives are important. However, IT that causes error, slows clinicians down, confuses and insults them, and is really not useful to them in improving their ability to care for their patients are the most fundamental pitfalls that have impaired this technology's diffusion and acceptance. The national HIT project in the UK is a quagmire in part for just these reasons (see here). "If it's too hasty, you can create so many bad experiences that people say...'My data's a mess and my patients are angry,'" Mr. Glaser says. I would say the major complaint is more akin to "the IT is a mess", not "my data's a mess." What is at the root of these difficulties? If you attempt to travel to the moon in a hot air balloon under the assumption that since the moon is up and the balloon goes up, therefore the balloon is a viable solution to earth-moon transit, you will just not see Neil Armstrong's footprints in the Sea of Tranquility. 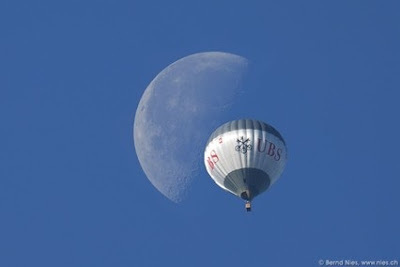 To the moon in a hot air balloon! The major false assumption in HIT has been that HIT is just a specialized type of MIS (management information system), as opposed to it own subspecialized domain in the IT space. This assumption and its corollary, that HIT is an MIS that just happens to involve clinicians (as opposed to the reality that HIT is a virtual clinical tool that just happens to involve computers) is at the root of HIT's difficulties. This assumption leads directly to errors in leadership, management, design and implementation of health IT. It leads to strategic, tactical and operational errors. IT personnel should not be leading design, deployment and management of clinical tools, either material or virtual, simply because those tools involve computers. Let me illustrate by analogy. The recent Airbus that lost engine power due to collision with birds in New York was designed as a fly-by-wire aircraft. The control inputs from the pilots are mediated by computers that in turn control the active aircraft flight surfaces, as opposed to direct electric or hydraulic actuators. These computer systems also provide detailed information and decision support to the pilots. It has been claimed that those automated systems also prevented this NY aircraft from stalling or going out of control through programmed "artificial intelligence." If this were health IT, the computer personnel would be put in charge of aircraft design, since the computers are now essential to aircraft operation and flight safety, and have the aeronautical engineers and other aeronautical domain experts report to them. The latter would be asked to perform their roles in accordance with what is convenient for the IT personnel, and blamed when they reject poorly conceived and implemented IT that could confuse and overwhelm pilots and cause air accidents. Yes, this does sound bizarre, but this is what largely goes on in health IT. HIT that does not meet clinician needs, slows clinicians down, cognitively overloads them, necessitates ad hoc workarounds that make clinicians' work more complex, and promotes rather than prevents informational errors. Unbacked, often IT marketing driven claims that HIT will ipso facto reduce healthcare costs, reduce FTE's and improve care quality. The latter claims are problematic when scientifically tested, e.g., Electronic Health Record Use and the Quality of Ambulatory Care in the United States” (Arch Intern Med. 2007;167:1400-1405, link to abstract here). Use of tightly controlled and mechanistic approaches and methodologies of MIS more suitable to developing business IT such as accounting and financial systems, but profoundly unsuitable to creating IT that meets the needs of clinicians in actual medical settings due to lack of methodological imagination and agility. In fact, MIS encourages what J. Paul Getty once described as "bureaucratic corpulence, the trap of sterile formalism and unproductive ritual." Paradoxical leadership. Non medical personnel of a technology and/or business focus in charge of HIT design, acquisition, deployment and life cycle, leading to technology modeled after what they know best, and therefore poorly supporting what they know least (clinical medicine and its "hiding in plain sight" complexities). Over reliance on "process" to make up for this deficiency, although a thousand generic workers will always be outperformed by one domain expert who actually knows what they're doing. Paradoxical and intensely dysfunctional reporting of healthcare enablers to healthcare facilitators, such as postdoctoral trained clinician-informatics experts reporting to non-medical, non-science business IT CIO's or other IT personnel with bachelor's level training, and the latter evaluating the performance of the former. Creation of an HIT industry that has created and promotes the myth of HIT cybernetic miracles out of its own interests. Spectacular, expensive, multi-football field sized annual trade shows promoting this technology (e.g., HIMSS). "Cross disciplinary piracy" - a dubious pretense to biomedical leadership qualification and insight by all manner of IT and IT facilitator personnel over seasoned clinicians. Lack of clinician input, and blame placed on hapless clinicians when they reject suboptimal HIT designs. Lack of adequate biomedical informatics input from true informatics experts. Such personnel are often used as "internal consultants" who may or may not be listened to. Common in hospitals is the "Director of Informatics" or "Chief Medical Informatics Officer" role, which usually translates to "Director of Nothing" or "Chief of Nothing" with little or no direct control of resources or personnel. Often used as 'internal salesmen of suboptimal HIT' to other clinicians. Too much input from "medical instamaticists", people who've managed to convince others that doing something with a computer in medicine qualifies them to play critical roles in major HIT projects. Often, these personnel know just enough to be dangerous and disruptive to those who actually know what they're doing. Legions of expensive consultants with the same assumptions. Suppression of reports of HIT difficulties that could - and should - be shared by other organizations as "lessons learned" due to self interest of the involved vendors, consultants and IT personnel. Focus on doing too much at once; e.g., simultaneous or near simultaneous implementation of EHR, CPOE, financial and other ancillary systems that provide little benefit to clinician end users and that drain healthcare's limited resources to the IT sector. This is as opposed to an incremental approach that starts with EHR support for clinicians and highly customized systems for high risk, high revenue areas, to be followed in stages by more comprehensive, integrated IT systems that if done well might have an ROI to the hospital business side. "Big bang" rollouts that attempt massive cultural change in an entire organization instead of incremental change, beginning with a pilot area or areas, then advancing unit by unit, specialty by speciality, subspecialty by subspeciality, learning as one goes to avoid costly errors. If money is to be massively spent, it would be better spent initially on true R&D. This R&D would strive to end false assumptions and develop well grounded leadership structures, development methods for effective HIT, and ensure proper engagement of experts and end users to facilitate this technology in attaining its true capabilities. Many phrases of US President Barack Obama's inaugural address seemed to speak to issues often discussed on Health Care Renewal. See the quotes below, taken in order from the transcript of the speech, and I hope not too much out of context. But our time of standing pat, of protecting narrow interests and putting off unpleasant decisions — that time has surely passed. What the cynics fail to understand is that the ground has shifted beneath them — that the stale political arguments that have consumed us for so long no longer apply. Those of us who manage the public's dollars will be held to account — to spend wisely, reform bad habits, and do our business in the light of day — because only then can we restore the vital trust between a people and their government. Nor is the question before us whether the market is a force for good or ill. Its power to generate wealth and expand freedom is unmatched, but this crisis has reminded us that without a watchful eye, the market can spin out of control — and that a nation cannot prosper long when it favors only the prosperous. Of course, most of these remarks were not specifically about health care. However, on Health Care Renewal we have documented multiple examples of "greed and irresponsibility" on the part of some health care leaders, and certainly our collective failure as medical professionals "to make hard choices." Health care has seen far too many "false promises," often made to further vested interests. The arguments too often made in support of the powers that be have been "childish." "Narrow interests," often serving the wealth of a few privileged people, have been all too evident. We certainly hope we can responsibly use "technology's wonders," but not naively or uncritically. We need to make health care decisions according to the best scientific evidence, critically reviewed, in conjunction with knowledge of biology, and in accord with individual patient's values and preferences, to improve health care. We need to better use information technology, but be clear-eyed about its current limitations and potential adverse effects. We have also seen "stale political arguments" often used again to support vested interests. Hopefully, in both the public and the private sectors of health care more leaders will "spend wisely, reform bad habits, and do ... business in the light of day." There have not been enough "watchful eyes" on the health care "market," and hence we have repeatedly documented it has spun "out of control" in a way that often "favors only the prosperous." We have seen people in powerful positions in health care who do so "through corruption and deceit and the silencing of dissent"
Last week, the Milwaukee Journal-Sentinel ran an investigative series on conflicts of interest affecting faculty at the University of Wisconsin medical school, one of the better known and more prestigious US state supported institutions. (The two main articles were "Doctors Face Pressure to Disclose All Side Pay," and "Drug Firms Wine, Dine and Pay Up for Doctors' Speeches.") Several of our fellow bloggers have discussed this excellent series already, including Dr Howard Brody on the Hooked: Ethics, Medicine and Pharma blog, and Prof Margaret Soltan on the University Diaries blog. So I will not go over the series in detail. Suffice to say that while the Journal-Sentinel's reporting is fresh, the problem may be tediously familiar to Health Care Renewal readers. Although the University of Wisconsin (UW) is said to have an unusually stringent policy for "managing" conflicts of interest, the reporting requirements are vague, particularly about the financial magnitude of conflicts. The Journal-Sentinel report noted that some faculty who disclosed making only "more than $20,000" a year, a range prescribed by UW, made much more than that. Some faculty were paid by multiple companies. Some faculty were paid by medical education and communication companies (MECCs), which were presumably in turn paid by drug, device, or biotechnology companies whose identities were not disclosed. Some faculty were paid thousands to gave promotional talks which were not accredited as continuing medical education. One orthopedic surgeon, Dr Thomas Zdelblick, disclosed yearly payments from device manufacturer Medtronic of over $20,000. The Journal-Sentinel reporters found he actually received as much as $400,000 a year in consulting payments, supposedly for working about eight days (that is, at a rate of $50,000 a day). A subsequent article in the Wall Street Journal found that Dr Zdelblick got even more than that. His total compensation from Medtronic was over $2 million a year, and as much as $4.6 million a year. So again the picture is of a web of conflicts of interest affecting many faculty at one medical school. This adds to the now voluminous evidence that large numbers of medical academics have financially significant conflicts of interest. These financial arrangements are rarely fully disclosed, even as part of the university's attempts to "manage" them. I spot-checked a few publications of two of the faculty named in the article, finding that they were no more explicit in their disclosures to readers of scholarly journals. - In a 2008 single-author review of the linkages between viral respiratory infections and asthma(1), "the author has received honoraria from Merck Inc...."
- In a 2008 multi-author research paper on rhinovirus infections and asthma(2), he did not mention his relationship with Merck. - In a 2007 multi-author report of a clinical trial of the Medtronic Sofamor Danek cervical disc device(3), "the authors have received or will receive benefits for personal and/or professional use from Medtronic Sofamor Danek in relation to products named in this article." - In a 2004 multi-author clinical research article on managing spine fractures,(4) "one or more author(s) has/have received or will receive benefits for personal or professional use from a commercial party related directly or indirectly to the subject of this manuscript: e.g., honoraria, gifts, consultancies, royalties, stocks, stock options, decision making position." Thus, while the usual approach of most universities to such conflicts of interest is to proclaim how they will "manage" them, this "management" often did not even include disclosure of the conflicts, and certainly not disclosure in detail sufficient for its audience to appreciate the degree to which the conflict might have biased seemingly authoritative academics. Also, often financial arrangements between medical faculty and industry are proclaimed necessary to foster collaboration necessary to "innovation" and the development of miraculous new drugs and devices (for example, the Journal-Sentinel reported the Dean of the UW medical school said "consulting with the pharmaceutical industry can accelerate drug development and lead to job creation....") However, despite these ostensible benefits, many faculty seemed uncomfortable with and reluctant to talk about their relationships. - Dr Barry Fox, who "worked for seven different drug companies in just one year," "would not discuss his drug company work...." When reached by telephone, he initially said, "I have nothing to hide," but when asked "what kind of work he did for a drug company, he said, 'I'm not comfortable with this conversation,' and hung up." - Dr Zdelblick "did not return phone calls." One doctor who gave approximately 20 drug talks did speak with the reporters, and was very frank. It's promotional. We all know why we are there and what we are going to hear. You are going to hear about that drug. As the series noted, faculty and the university stand to benefit when drug and device companies pay doctors. The school may also benefit, of course, when the companies who pay faculty on the side also give the school research or educational grants. But while faculty and schools make money, they sacrifice the trust of community physicians, patients, and the public. As long as academics take big money from industry, often without much honesty about what they are doing, their independence will be suspect. Who knows when the talk, the article, the glitzy program is meant to disseminate the truth, or to help in marketing? Who knows whether the research study was manipulated? Who knows whether the policy pronouncement mainly would benefit vested interests? Maybe academics and academic administrators would sleep better if they no longer had to dodge reporters' calls, twist rationalizations, or admit to being "talking heads." Those who used to depend on academic medicine to seek and disseminate the truth might sleep a lot better if it became independent once again. 1. Gern JE. Viral respiratory infection and the link to asthma. Pedi Infect Dis J 2008; 27: S97-103. 2. Jackson DJ, Gangnon RE, Evans MD et al. Wheezing rhinovirus illnesses in early life predict asthma development in high-risk children. Am J Respir Crit Care Med 2008; 178: 667-672. 3. Mummaneni PV, Burkus K, Haid RW et al. Clinical and radiographic analysis of cervical disc arthroplasty compared with allograft fusion: a randomized controlled clinical trial. J Neurosurg Spine 2007; 6: 198-209. 4. McDonough PW, Davis R, Tribus C, Zdelblick T. The management of acute thoracolumbar burst fractures with anterior coprectomy and Z-Plate fixation. Spine 2004; 29: 1901-1909. Can A Hospital Have "Trade Secrets?" This peculiar newspaper article caught my eye. It concerns a city at the other end of this state, Pittsburgh, and the University of Pittsburgh Medical Center (UPMC). I have not seen this in the Philadelphia news. I predict it is a "local story only", and will probably remain so due to the anechoic effect. I will "un-anechoicize" the story by posting it here. It seems strange a medical center would claim "trade secrets." Is there a secret way to practice medicine or perform an appendectomy or heart transplant? One would think if there were, it should be shared for the good of all in the literature intended for that purpose - the biomedical literature. The Allegheny County District Attorney's office is executing a search warrant today on UPMC documents that might shed more light on the death of the 89-year-old woman found on the roof of UPMC Montefiore in December. The warrant is part of the ongoing investigation into the death of Rose Lee Diggs, of Homewood, that has spread into civil court. Investigators are seeking documents that are the subject of a lawsuit by UPMC against Michael R. Tantlinger, a former UPMC security official who the hospital claims stole thousands of pages of confidential materials. According to court filings, Mr. Tantlinger threatened to release the documents -- which the hospital claims include confidential patient information, internal memos and "trade secrets" -- unless UPMC settled his wrongful termination suit. Mr. Tantlinger, who worked at the Presbyterian and Montefiore campuses, was fired in October. Ms. Diggs' son, Roderick, subpoenaed the documents from Mr. Tantlinger's attorney because some of them might pertain to his wrongful death lawsuit against UPMC. The hospital is attempting to block that subpoena, saying the documents were obtained illegally. District Attorney's office spokesman Mike Manko confirmed this morning that investigators will be executing a search warrant for documents that are the subject of a civil suit, but he said the warrant will be under seal. In previous posts on the National Research Council report on HIT, the Joint Commission Sentinel Events Alert on HIT, and many others on HC Renewal I've alluded to my belief that a root cause of the state of healthcare information technology (high cost, low diffusion, poor usability, poor interoperability, low reliability, questionable benefits, lack of features most helpful to clinicians, etc.) is - to be frank - industry dysfunction. Poorly led, mismanaged, conflicted, opportunistic, sometimes even unethical vendors, overly pushy marketing, less than stellar consultants, well-paid but of course "objective" clinical Key Opinion Leaders (KOL's) and spokespeople, and ossified strategy and tactics are examples of this dysfunction. One merely needs to read statements such as came from the former head of the UK's CfH national program for Health IT to see how these issues can play out (I've seen them up close and personal, but I'm just a 'little guy' in HIT, so I shall defer to Mr. Granger on this). This dysfunction takes the form of corporatization of HIT, creation of myths about its magic bullet capabilities in "revolutionizing healthcare" (I call this "bellicose grandiosity") and leadership by business IT professionals. The influence of the latter seems far out of proportion to their expertise in biomedical affairs. I've written about the perils of the overarching assumption that supports this leadership model: that clinical IT is a subspecies of MIS (management information system), and that the methodologies and approaches for development, deployment and lifecycle of the latter are appropriate for the former. How can the goals of innovation, alignment to user needs, quality, costs, accessibility, interoperability, context sensitive linkages to external science, etc., be met? Or, perhaps the question really is, who - what organization(s) - can best provide those characteristics and features? In "A Biomedical Informatics Manifesto" I addressed the domain expertise I feel is most needed. I did not, however, address the "who" as in "what organization(s)." What organizations, that is, have the resources (e.g., financial and infrastructure) to make useful, usable, national, interoperational HIT happen? What organizations have the innovative track record to effectively engage the best specialists to make it happen? One example comes to mind immediately. It was suggested by an expert in IT and bioinformatics I correspond with, Felix Fulmer. These folks are innovative. Their services are reliable, fast (when is the last time Google was down or took a long time to provide query results? ), widely available, cost effective (many services available for free! ), and a true technological tour de force. Billions of web pages are constantly crawled and indexed and content made available in a "world library computer" manner that just a few years ago would have been considered true science fiction. And the complexity of this process is hidden in a simple user interface, with excellent user interaction design. I'd studied and written about IR (information retrieval) issues just as the WWW was beginning, and what Google has created in those years is truly impressive. They also offer their own ASP-model applications (here), have seemingly unlimited storage capabilities, and a true international presence. They get things done, and don't mess around or offer excuses for lack of performance. They host millions of blogs at blogger.com for instant editing and retrieval, anywhere, anytime, including this one. They already have Google Health, a Personal Health Records service. (Addendum April 2009: some problems developed there due to apparent deviations from best IT practices, see this post). Perhaps this organization exemplifies the kind of "can do" attitudes and accomplishments needed to solve decades-long disappointments in HIT. Note: I also have no financial stakes, stocks, or other tangible interests in Google of any kind, nor receive any income from them, nor have I spoken to anyone at or associated with Google about the thoughts contained in this essay. I wrote about the just-released National Research Council report on HIT at the post "Current Approaches to Health IT Insufficient ... and Other Master of the Obvious News." The following critique, seen at the HISTalk industry-sponsored gossip site here, has me scratching my head a bit. I'm scratching my head at the following commentary on HIT and the NRC report by an official at MedStar Health, Peter Basch, MD, Medical Director of Ambulatory Clinical Systems. (2) the NRC’s inappropriate assignment of blame to EHRs as being the cause of dysfunction rather than their understanding that EHR functionality and implementation deficits are a result of a dysfunctional reimbursement system, which is based on volume of episodic care and verbosity of documentation. Did the NRC mislabel their recommendations for improving HIT as a "change" from what health IT leaders advocate? For example, I haven't heard many industry based health IT leaders advocating for -- or generally supporting with money - studies of interdisciplinary research in biomedical informatics, social science, or healthcare engineering, for example. In fact, at the Government Health IT Conference & Exhibition 2008 in Washington, the plenary session leaders and many attendees, including the "experts" from large HIT management consulting organizations, seemed to have little idea what I was talking about when I mentioned the study of social factors. They largely blamed doctors for HIT's ills, until I gave some examples where that was decidedly not the case, and the plenary members then agreed there might be other "unknown" issues at play. Interestingly, the attendees from the VHA knew precisely what I was talking about. Did the NRC "blame" EHR's as the cause of dysfunction, or as a symptom of some deeper issues? The latter seems the case. Are implementation and functionality deficits a sole result of the reimbursement system? Doubtful, see below regarding HIT in the UK and Australia. While I agree we have a dysfunctional reimbursement system here in the U.S. that makes quality HIT harder to achieve (my own organization had to sue AllScripts over a malfunctioning E&M module, for example, see civil complaint PDF here), I believe there are far more fundamental issues at play in HIT failure. "Nobody has advocated EHRs would lead to improved and safer care in years?" ... What about the statement "To improve the quality of our health care while lowering its costs, we will make the immediate investments necessary to ensure that within five years, all of America's medical records are computerized" by the President-elect on Jan. 8, 2009 as just one example? That's an ambitious timeline indeed for a technology our National Research Council tells us is not yet ready to provide such benefits without significant rethinking and rework. It certainly send a clear message to the public that HIT in 2009 is a magic bullet, a panacea towards better healthcare quality. It suggests the new administration has absorbed that view through ill informed HIT industry and pundit wishful thinking, and perhaps purposeful disinformation. I can easily find myriad quotes expressing the same point of view, that EMR ipso facto equals better healthcare quality, on a google search "EMR improves care" or similar search engine query. I think those in informatics should be educating on the dangers in that view, not denying it exists. ... The NRC faults current EHR build as not supporting the cognitive support necessary to optimize care. This deficiency is obvious and abundantly clear to veteran EHR and HIT users – many of whom work on their own or with vendors on new and better functioning clinical decision support. However, let’s be fair as to the root cause of this deficiency. It is neither lack of vendor vision nor limitation of IT technology; it is lack of a market. "The root cause" of misdesign of HIT, its glaring deficiencies towards its users' needs after 40+ years of trying, is simply - market forces? Are any of the sociotechnical ("people and their interactions with technology") issues at my website here or at other sites by those studying social-IT issues and misalignment of the business IT paradigm towards clinical computing relevant? Or, should such issues simply be thrown under the bus since under government stimulus a better market will magically appear? Is the entire discipline of social informatics (the study of information and communication technologies in social, cultural and institutional contexts) irrelevant? "Sometimes we put in stuff that I'm just ashamed of ... Some of the stuff that Cerner has put in recently is appalling ... Cerner and prime contractor Fujitsu had not listened to end users ... Failed marriages and co-dependency with subcontractors ... A string of problems ranging from missing appointment records, to inability to report on wait times ... Almost a dozen cancelled go-live dates ... Stupid or evil people ... Stockholm syndrome - identifying with suppliers' interests rather than your own ... A little coterie of people out there who are "alleged experts" who were dismissed for reasons of non-performance." How familiar to Medical Informatics experts that all is. In summary, are the market and the reimbursement system the major causes of HIT's disappointing track record as claimed in the critique? Hardly. Perhaps there are other far more fundamental "root causes" for HIT dysfunction that this critique of the NRC report is leaving out, including the issues above as well as additional factors mentioned in my posting here. We as clinicians, especially those who are biomedical informatics professionals, cannot improve the situation by making ill informed, wishy-washy excuses for the HIT vendors. While the latter, as in pharma, might treat us, as well as CIO's and IT hospital personnel to nice perks, promote us in speaking engagements as key opinion leaders (KOL's), give grants, etc., they have produced mediocre to very poor products for the most part for decades. This wastes resources that healthcare can ill afford, ultimately harms or at best does not help patients, and needless to say makes reports such as the NRC report and Joint Commission Sentinel Event Alert necessary. I am aghast at the stories I hear even today of HIT products such as EHR's and CPOE's with cryptic user interaction design that inundate, confound and insult clinicians, force clinicians to "drink information from a firehose", or have other issues that waste time and create new opportunities for error. To be quite frank, the IT industry spends exponentially more time and expense on design and debate over trivial and arcane features in computer operating systems (to ensure a "better user experience", the fluffy marketing-ish industry buzzword du jour for what used to be called "efficient interaction") than on HIT. As in medicine itself, we cannot cure this situation by failing to recognize or by ignoring the symptoms, signs and features which are right before our eyes. Ironic note - While I do not know the author of the critique, a few of the case studies of HIT dysfunction and difficulty at the above referenced sociotechnical issues website here involved a high level person now at MedStar. I can assure readers that the issues then had nothing to do with "reimbursement" and "lack of a market" and very much to do with "lack of vendor vision" as well as "lack of hospital management and IS department vision" in the prior organization. Even in a disastrous year on Wall Street, Cell Therapeutics stood out in 2008. Its stock price dropped 99.25 percent. But the cash-strapped Seattle biotech's top five executives had reason to celebrate Dec. 31: That day they were awarded year-end bonuses totaling more than $1 million. Chief Executive James Bianco, who has run the company since founding it in 1992, was awarded a $487,500 bonus to supplement his $650,000 salary and other perks. Cell Therapeutics' eight board members, who include Bianco, chose to pay 75 percent of the bonuses in cash, and will decide March 1 whether 'the company is sufficiently liquid to pay the remaining amount.' In other words, the board wasn't certain Cell Therapeutics would be able to spare the $250,000 to complete its New Year's gift to top management. Here's another way to put the bonuses in context: Cell Therapeutics' market capitalization is about $27 million, according to Bloomberg. If Starbucks (which had a difficult 2008 but only lost half its stock value) gave its top five officers a bonus equal to one-twentyseventh of its market cap, the execs would walk off with about $270 million. Cell Therapeutics is Seattle's oldest surviving public biotech and has the longest-reigning CEO. The company has lost a remarkable $1.3 billion over the past 16 years, with no sign of stopping. Its board chairman since 2006 is longtime director Philip Nudelman, the former president and CEO of Group Health Cooperative. Company spokesman Dan Eramian, one of the five New Year's Eve awardees, says that 'in this market environment, stock prices are not valid measures of company performance.' He defends the bonus awards, saying executives at the 110-employee company have not had a raise in their base salary since 2005. During that period, however, Cell Therapeutics has been an even bigger loser than Washington Mutual, as shares went from a split-adjusted $310 on Jan. 1, 2005, to the current penny-stock level, 11 cents on Friday. And, Bianco had the highest base salary of all the local biotech leaders, including companies with 30 times the market value of Cell Therapeutics. You just can't make this stuff up. This is an illustration of how the main beneficiaries of the our dysfunctional health care system are the top leaders of health care organizations. It seems that no matter how badly their organization performs, the top leaders always do very, very well. In this case, bonuses equal to about 4% of the corporation's entire market value went to top executives at a time when the board thought the company was in danger of completely running out of cash. So who was responsible for giving more than $1 million to the CEO of a company whose market capitalization was $27 million? Looking over the company's board members, we see two familiar names. The first such Cell Therapeutics board member is Vartan Gregorian, currently President of the Carnegie Corporation. Mr Gregorian was President of Brown University (in the spirit of full disclosure, my alma mater, and where I currently hold a voluntary faculty appointment) at the time Dr David Kern was forced off the Brown faculty. As we discussed briefly here, and Dr Aubrey Blumsohn discussed in more detail here, Dr Kern lost his position as head of occupational medicine, and ultimately his faculty position after he insisted on presenting an abstract about a new occupational disease over objections by officials at the company whose workers were afflicted with it. The company threatened a lawsuit over what it claimed was Kern's breach of a trade-secrets agreement. Brown officials blamed Kern for signing the agreement, even though the agreement was unrelated to the research Kern did on the disease, and his research did not obviously reveal any trade secrets. Gregorian refused appeals from Kern (see here), and at one time asserted that the occupational medicine program Kern lead did not exist (see here), despite obvious evidence to the contrary. The second such Cell Therapeutics board member is Mary Mundinger. Ms Mundinger was on the board of directors of UnitedHealth, and in that position served as a cheerleader for Dr William McGuire, former CEO of the company who retired abruptly after allegations that he received more than $1 billion in back-dated stock options. A 2006 Pulitzer Prize winning article in the Wall Street Journal quoted her thus, "We're so lucky to have Bill. He's brilliant." Dr Mundinger's support of McGuire lead Institutional Shareholder Services (ISS) Inc. and Proxy Governance Inc, to suggest that institutional investors withhold votes for her in the 2006 board election (see post here.) We most recently summarized these leadership issues at UnitedHealth here. So it often seems that not only do health care organizations often have bad leaders, but also that there is a web of bad leadership in health care. Questionable leaders often cross-link across organizations. The boards of directors of for-profit corporations, and the boards of trustees of not-for-profit organizations often are packed with the cronies of the organizations' hired executives. These board members are often current or former executives and managers. So these boards often seem more sympathetic to the financial fortunes of the CEOs they are supposedly supervising than to the mission of their organizations or its other constituencies, whether they be stock-holders, employees, health care professionals, patients, or the general public. To improve health care, we thus need major changes in the governance of health care organizations, making it more representative of important constituencies, devoted to the mission, accountable, transparent and subject to ethical rules. Doing so would require ensuring that the boards of directors and trustees of health care organizations put the mission of the organizations ahead of the enrichment of its hired executives. Hospital Addresses Online Privacy "Mistake"
Is Care Delayed Tantamount to Care Denied? Has Bioinformatics Hit A Hard Wall of Stagnation?